June in Ohio is all about the fresh strawberries. I have strawberries in my garden that aren’t quite ready yet, but berries can be found at local farm markets and at pick your own farms. 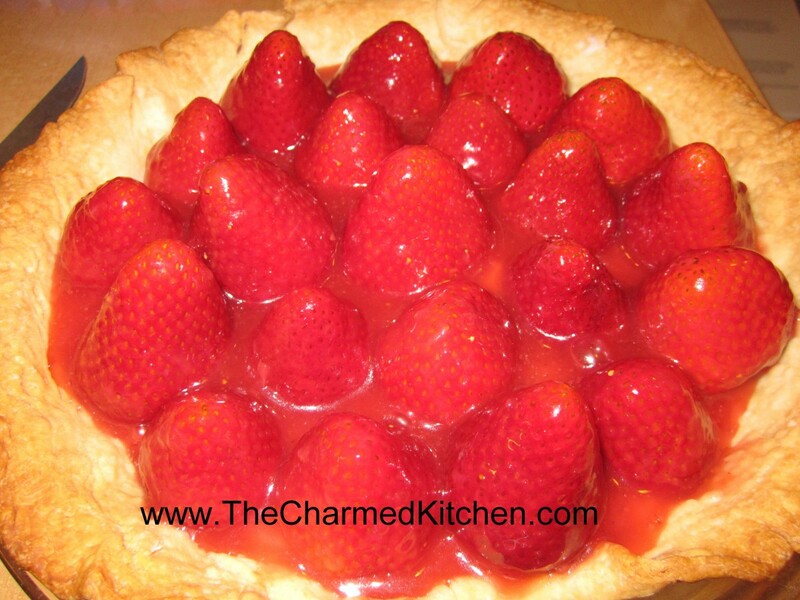 When I was a kid there was a local restaurant known for its strawberry pie. It became a favorite of mine back then, and strawberry pie is still a favorite. This pie is always a big hit. It wouldn’t be June if I didn’t make at least one. A nice benefit, over most other pies, is that only the crust has to be baked- that takes just a few minutes- so you don’t need the oven on for very long and the house stays cooler. I used a homemade crust that really works for this particular pie. Directions for blind baking (pre-baking) the crust are included below, along with the recipe for the crust I used. The prepared pie crust should be pricked all over with a fork. Cover the surface with foil and then pie weights. Pre-heat oven to 425-degrees. For a crust that is only being partially baked allow 15-20 minutes, but remove before the outer edges get brown. If the crust is to be fully baked remove it after 15-20 minutes. Remove weights and foil and return crust to oven for an additional 20 minutes, but watch carefully so it doesn’t over-brown. ** this recipe makes 2 crusts- which makes me think you should just make 2 pies. If you don’t want to do that- the other half of the dough will freeze well for a few months. Seriously though, just make 2 pies!! !